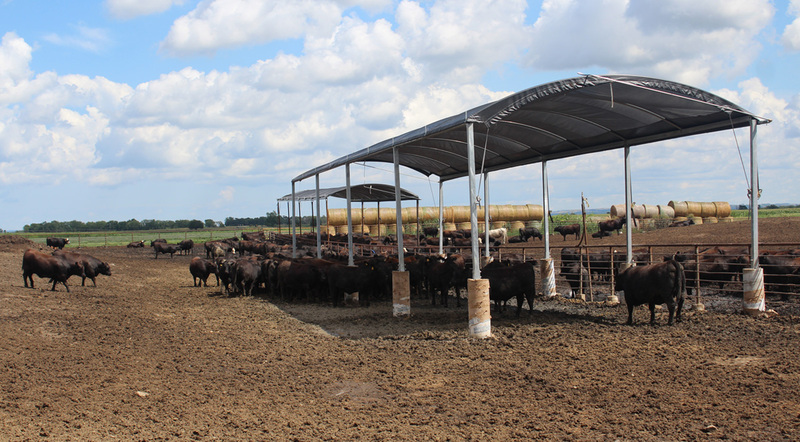 Rush-Co shade systems are the affordable, long lasting way to protect your herd health. Research at a University in Arkansas found that providing artificial shade resulted in an additional daily gain of more than 20% compared to cattle with no shade. Research at a University in Florida determined that dairy cows provided with shade produced 10-19% more milk than dairy cows without shade. Whether you choose a Rush-Co Permanent Shade System or the portable systems, protecting your livestock investment from the elements is just good business.